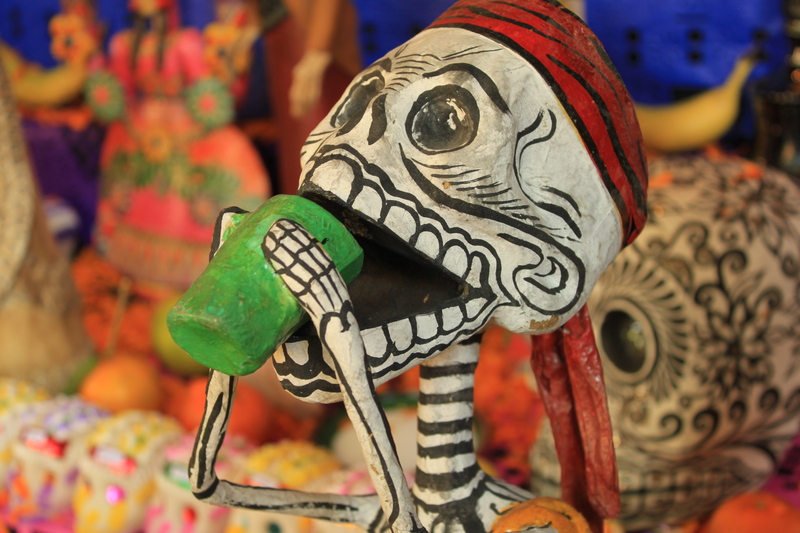 Yesterday was Day of the Dead or rather Dia de los Muertos – which has to be one of Mexico’s most interesting, extraordinary and colourful celebrations. 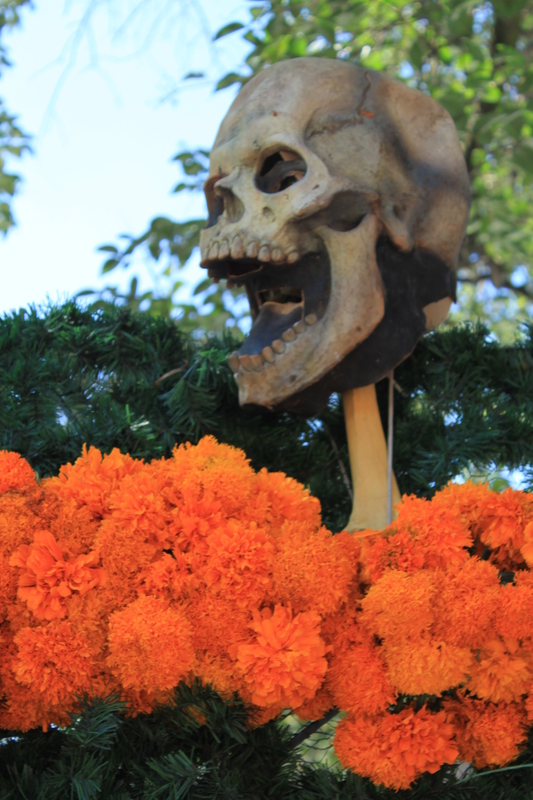 You may think the combination of the words ‘dead’ and ‘celebration’ in one sentence slightly off-kilter, but this is what the day is all about – a celebration of death, and hence a celebration of life. 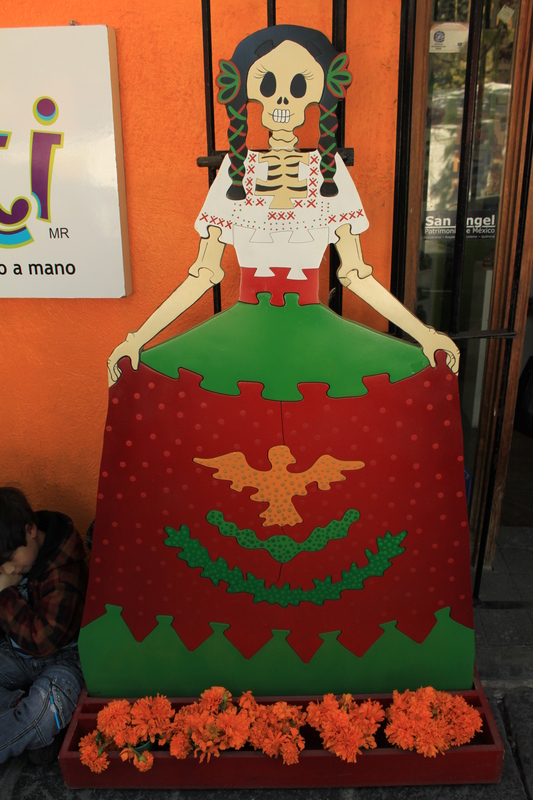 Unlike in Europe or most “Western” culture death is not something to be feared here in Mexico, it is (quite rightly) something to be embraced, as ultimately we are all going to die so why be scared of it? 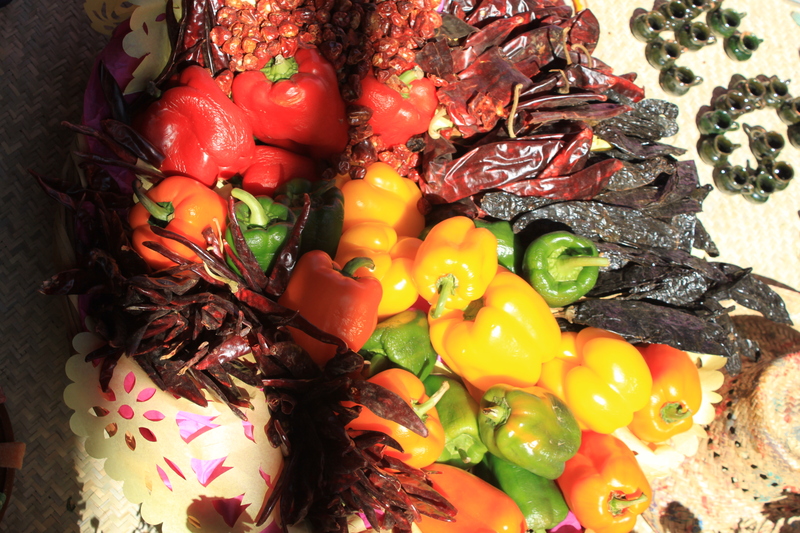 Traditionally the Aztecs believed that life was a dream and that you only started living once you died – then you were truly awake. 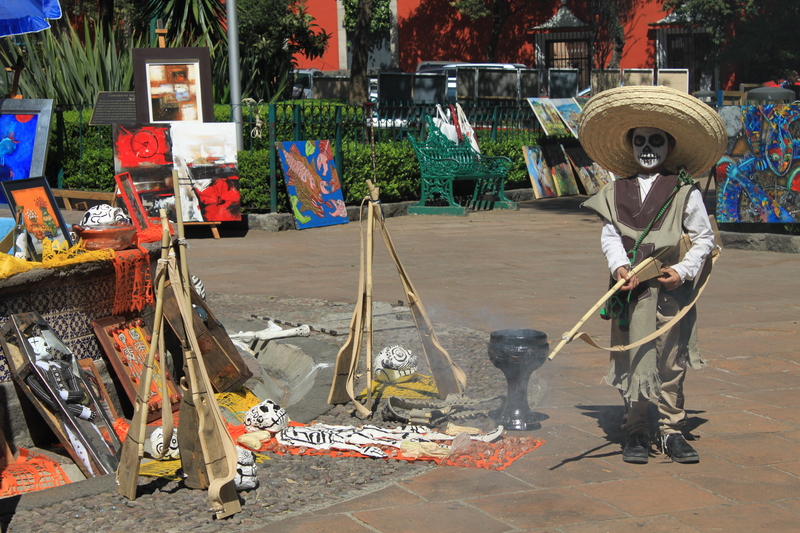 Although Dia de los Muertos falls on the Catholic celebration of All Souls Day, this is a tradition that was established long before the Spaniards arrived, and originally was celebrated in August – however like with all conquering nations and religions the Catholic church realised they would be unable to stop this practice which they believed to be barbaric, so adopted it and changed the date so it would co-inside with All Souls and All Saints day, making it far more acceptable! 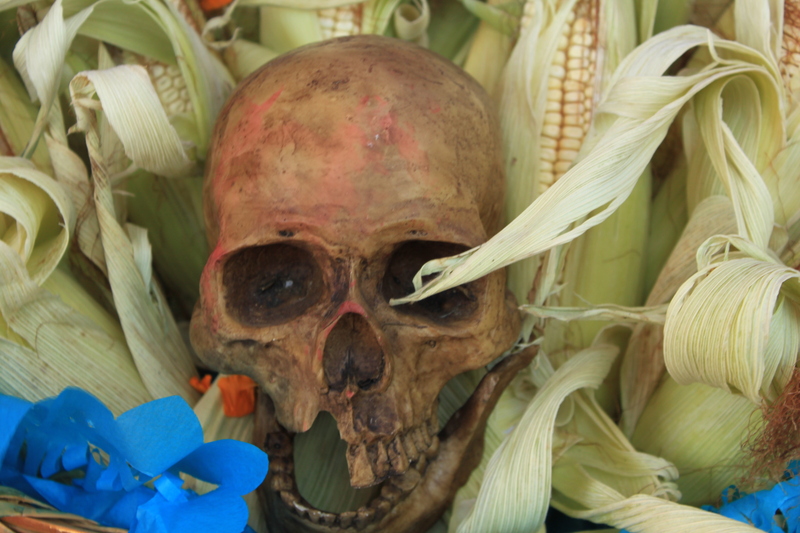 The indigenous people however believed that once the body dies the souls continue to live in Mictlan the underworld where they would live in eternal rest. 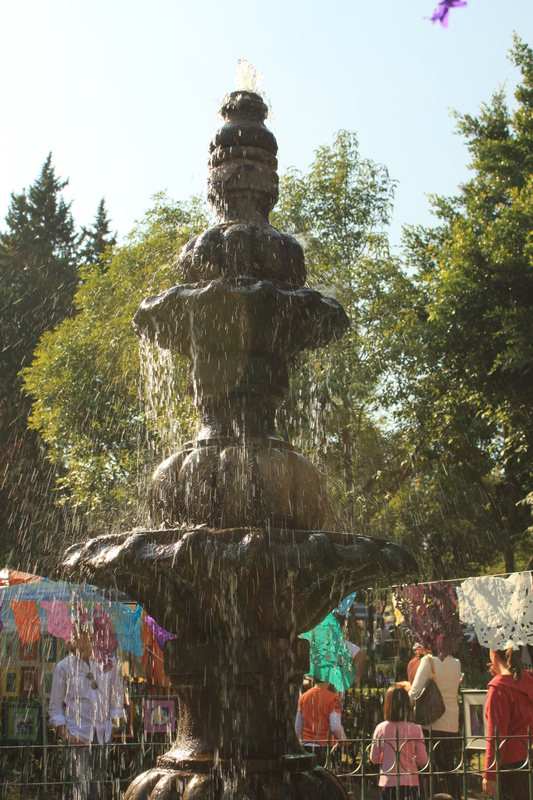 In this place, the spirits would rest until the day they could return to their earthly homes to visit their relatives and enjoy all the earthly things that they used to. 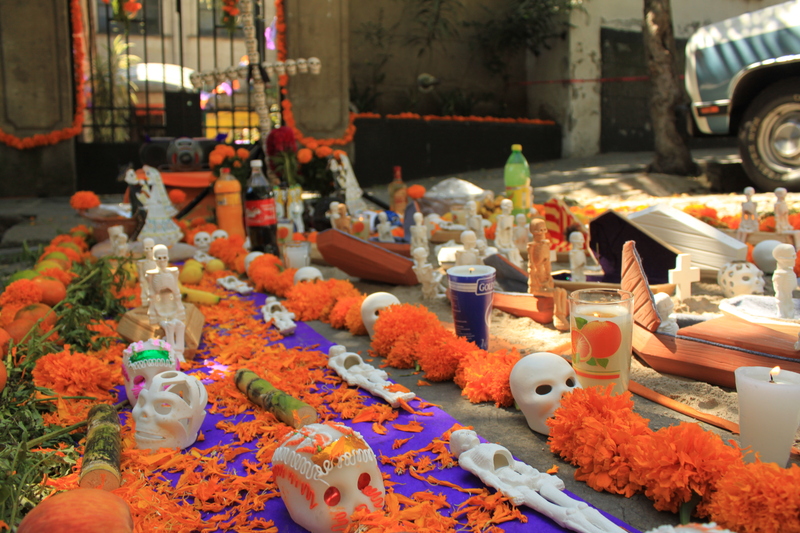 This is why to the run-up to dia de los muertos you will see offerings or offrendas all over the city, as well as intricate alters not only in people’s homes but the plazas, the shops and even the metro station. The alters are made up of marigolds whose scent is believed to attract the soul back to earth, the departed’s favourite food and drink, a photo of the deceased relative and possibly some item of clothing, and of course wooden sculls or sculls made out of sugar. 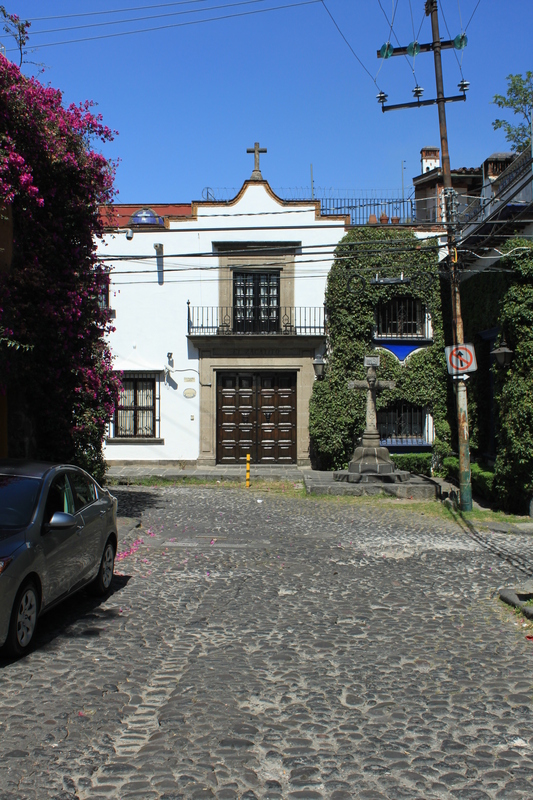 On Saturday, ‘C’ and I went to San Angel which is a lovely little neighbourhood in Mexico City. 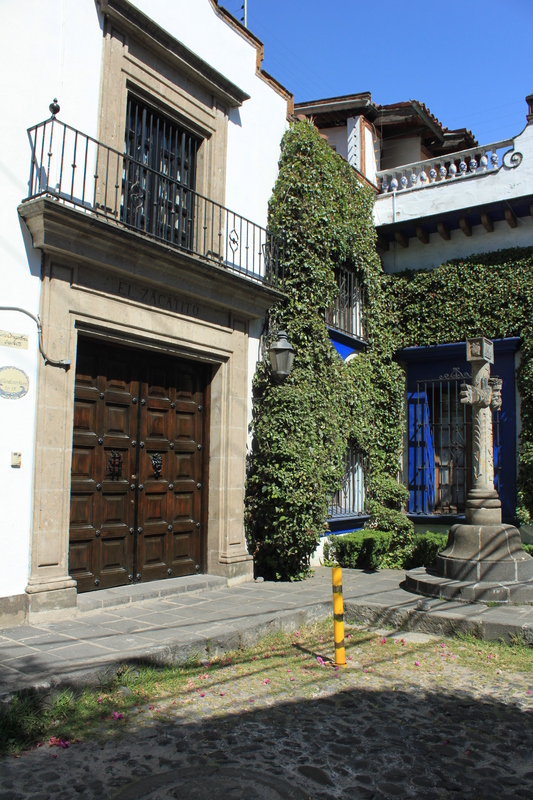 originally it was an affluent town on the outskirts of the city, where the wealthy people of the capital had their country houses but as Mexico City grew, it has engulfed this picturesque town that has somehow managed to keep its charm. 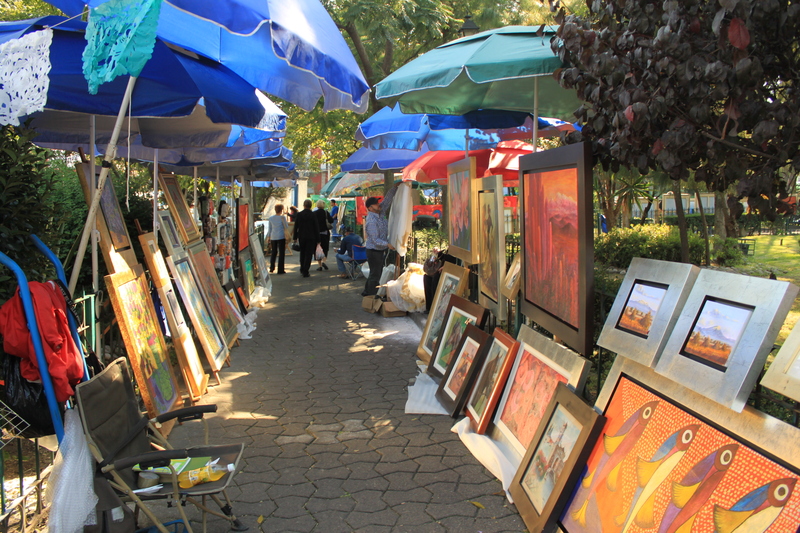 Today San Angel is still a very affluent neighbourhood and often associated with ‘old money’, but what I love about this town (or rather neighbourhood) is not only the quaint cobbled streets, and colourful buildings, but their art market on Saturday. 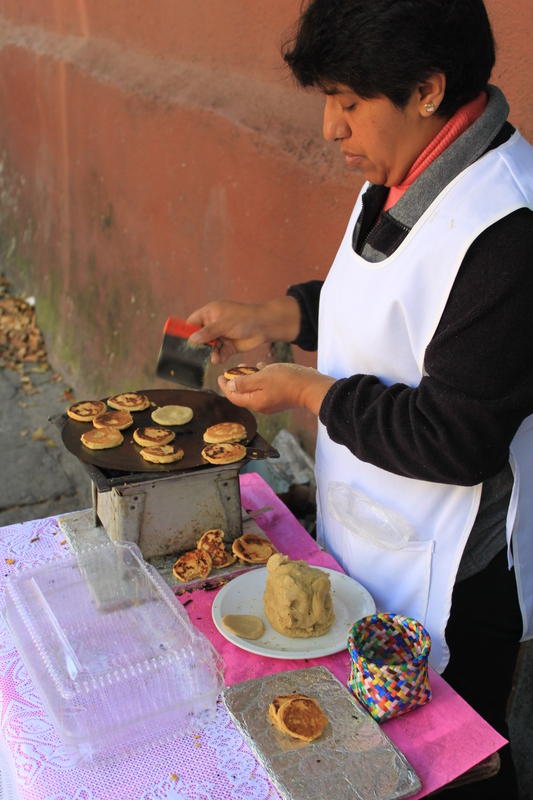 Woman making "gorditas" litterally translated to "Little Fatties"
Made from exactly the same corn flour used for tortillas - this has sugar and is like a fat pancake...and very addictive! 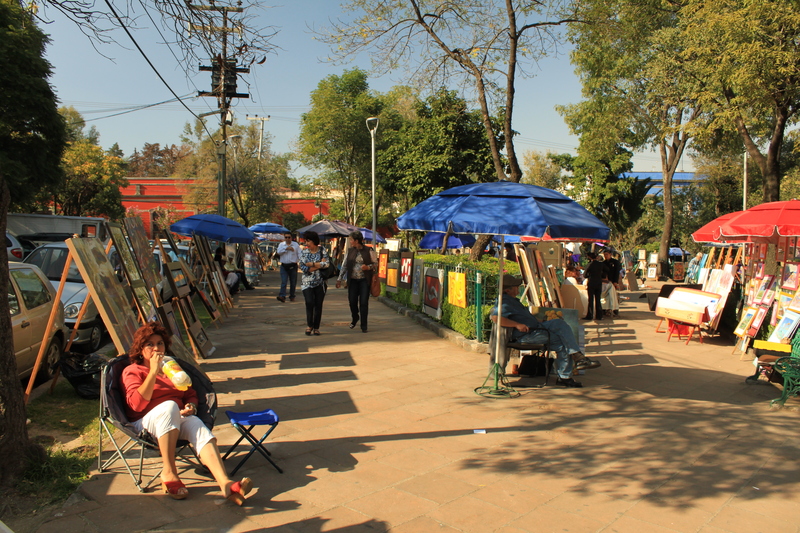 Every Saturday there is an art market held in the plazas of San Angel. Artists of every age, style, technique and talent display their artwork here. Even if you do not want or need to buy anything, it is so lovely just to walk around and look at all the art displayed in front of you and the creations that have been made. 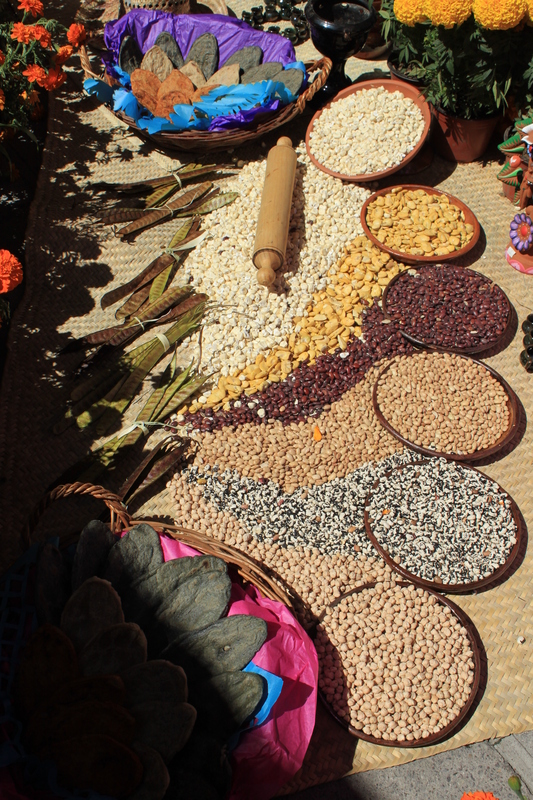 There are also quite a few shops surrounding the plaza selling everything from traditional artefacts to modern furniture – in fact over the last year we have been living in Mexico City and visiting San Angel – we have nearly always left with something that we have fallen in love with on our stroll around the plaza. Last Saturday we came back with two oil paintings! 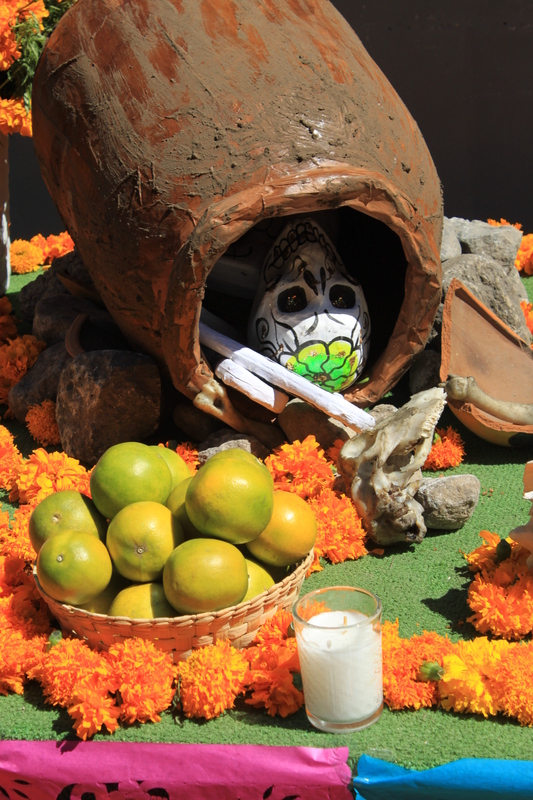 What was exceptionally fun about the market last weekend, was the preparation for Dia de los Muertos. There were so many different types of alters, offrendas and people in costume walking around, it really was a photographers dream – Conrad was busy snapping away at everything he saw, and got some really good shots, so I thought I would share them with you. 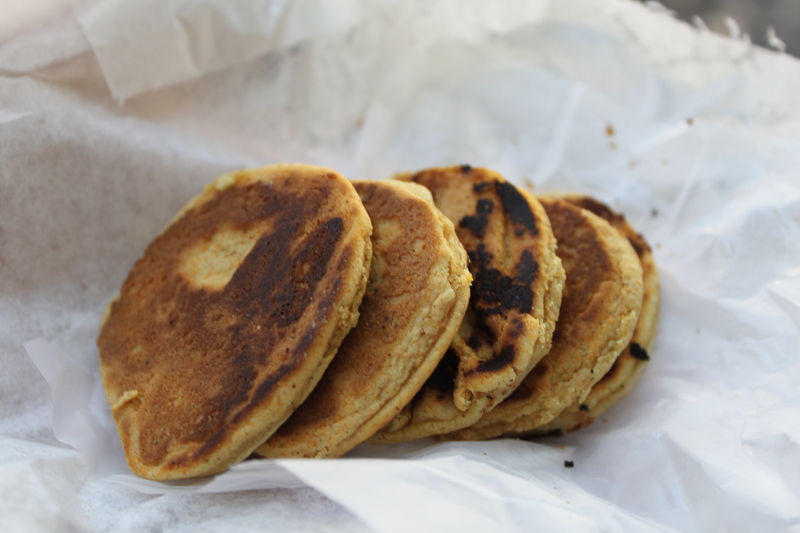 If any of you ever find yourself in Mexico City on a Saturday, you really should dedicate at least a morning here at San Angel and take the opportunity to walk around and enjoy the hustle and bustle of the neigberhood. 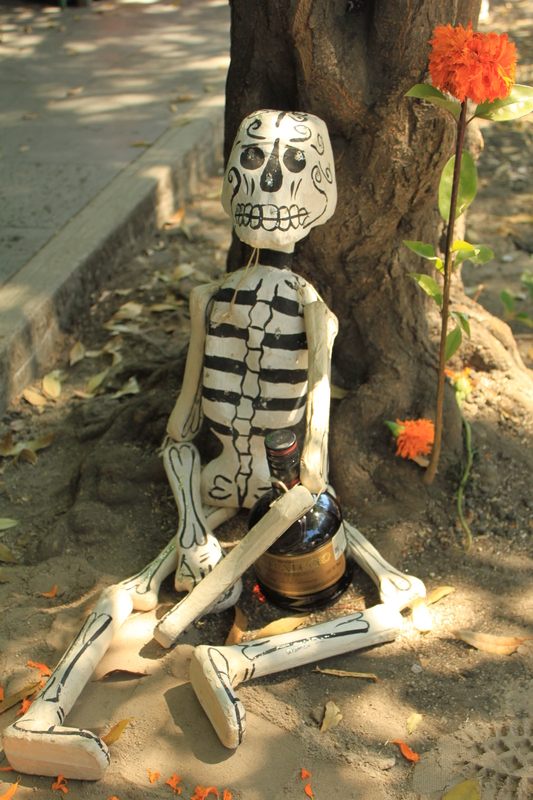 Aloha, love to read about Dia de los Muertos, very interesting…thanks for such great pictures….fun to follow what you do.